In the previous article we tried to answer frequently asked questions about painting tiles on the floor and walls of the bathroom. This is the most affordable and fast version of the interior renovation, which is ideal for those who are not ready to invest in repairs. The main thing is to choose the right paint, and it’s not just about color, but about composition. 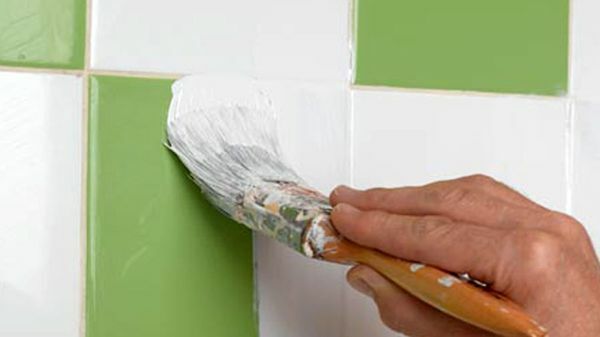 There are several types of paints offered to use for working with tiles, and each one has its own advantages and disadvantages. Water-dispersive paint is the cheapest and most popular on the market; however, it is better not to just look at a low price: the paint is no good for a bathroom. The best solvent of this composition is water. For a room with high humidity it is the worst option. Silicone paint is an excellent coating that will look good on the floor, and on the walls, and even on the facade of the building. Its main advantage is water resistance, and for the bathroom it is just perfect. Oil paint is created on the basis of either artificial or natural oils; it has good technical characteristics. Such paint is durable, unpretentious in maintenance, but it also has drawbacks: it dries too long and has a low water vapor transmission. It is very rarely used in design of apartments and single-family houses. Alkyd paint is based on alkyd resins. It is unique in a way that it dries out due to the oxidation reaction of the material in the air, so the top layer of this coating is very durable and protects the surface against mold and fungus. The paint can preserve the brightest color for many years. Epoxy paint is one of the most durable compounds, created on the basis of epoxy resins. It easily withstands various external influences, and it is one of the most durable paints on the construction market. It does not afraid the water at all. 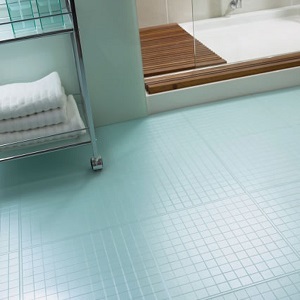 You can even use it without problems for painting floors – not only in the bathroom, but in the whole house. A special case in this article belongs to the decorative paint. It is a coating that imitates any other texture by its appearance. This is an excellent option, if the wooden or stone floors are too much of investment for you. Which paints proved best in practice? Most often, oil and alkyd paints are used to paint the walls and the floor of the bathroom, but water-dispersive ones are used as well, but only those that contain latex. 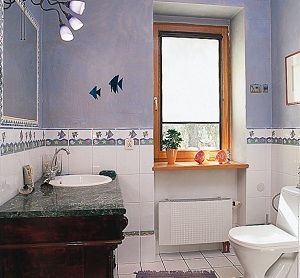 If you are not sure about the choice of the paint, we recommend that you contact the specialist. Of course, in Miami Bathtubs. We have an impressive experience with all compounds suitable for floor and walls, and we know exactly how to make the painting smooth and bright. Call us!